A resignation letter is a formal request for acceptance of registration from employment issued by an employee to an employer. A resignation letter usually contains the reasons for resignation, requested date of resignation and a formal thanks to the employer for providing employment thus far. Usually an employer accepts the resignation letter and provides the employee with a final date of employment. It is a good practice to request resignation from employment using a formal resignation letter. You can also download the resignation letter format in the following formats. 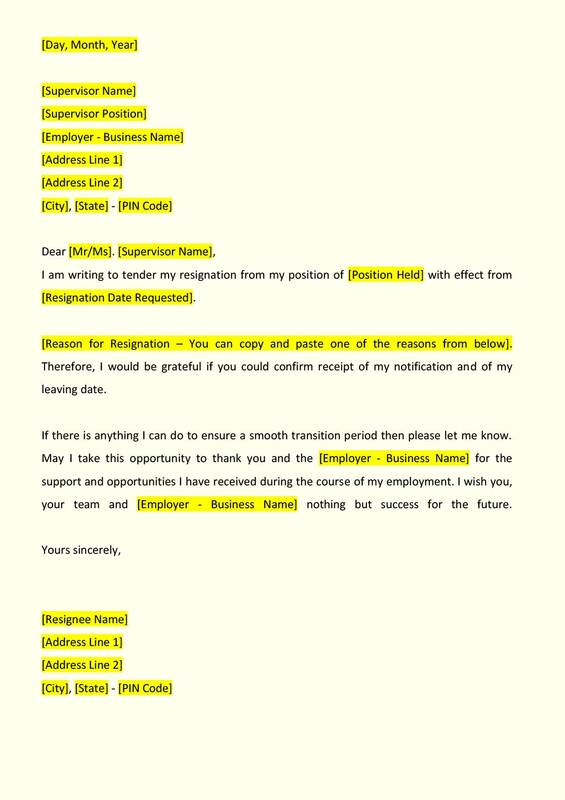 This resignation letter format and generator can be used by an employee to quickly and easily generate a resignation letter citing various reasons. Once, the resignation letter is generated, it can be printed on a plain paper, signed and delivered to the employer. Resignation letters can also be sent via email to the concerned HR Manager. It is a good practice to provide the employer with sufficient notice period while preparing a resignation letter. This resignation letter can be printed on a plain white paper, signed and delivered to the employer. A resignation letter is usually handed to human resource department or the supervisor. One copy of the document is retained by the employee and another is issued to the employer. On receiving a resignation letter, its a good practice to request the person receiving the document to acknowledge receipt of the document by signing on the document. If a resignation letter is provided through email, then a request confirming receipt of request can be requested from the recipient. A resignation letter is in most cases only a request to relieve you off duty, as per the employment contract or appointment letter. It is upto the Employer to accept / reject / make counter offer on receipt of a resignation letter, subject to the terms of employment contract. Most employers on accepting a resignation letter indicate a last date of employment. This is great. 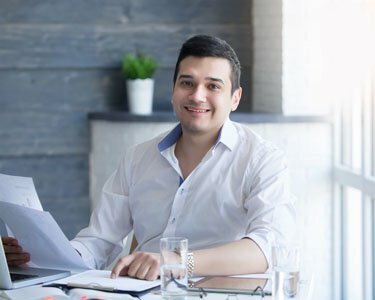 The key is to leave the job on a peaceful note by writing a professionally written resignation letter which outlines the reason for leaving, very clearly. 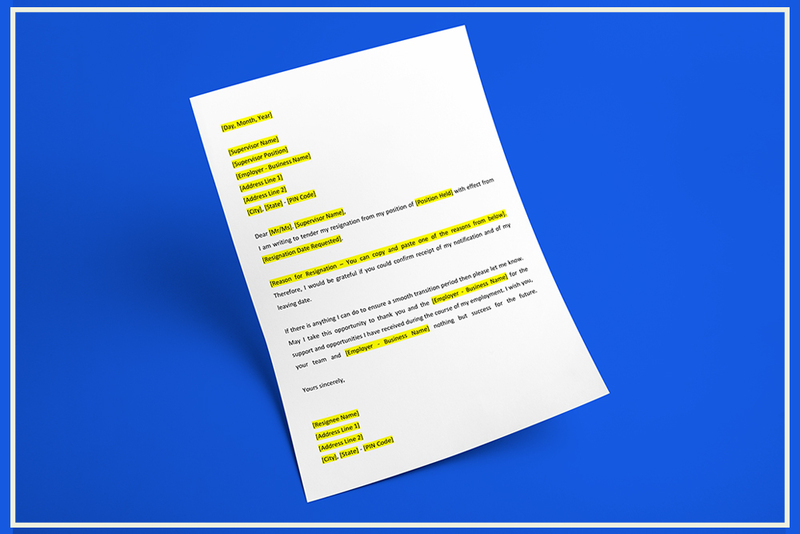 A crisp letter will catch the HR manager’s eye and will eventually lead to a hassle free exit interview. Here are some more letter of resignation samples, which might be useful to the readers.